The two longhouses and baruk which are the main components of BBHC. KUCHING: Members of the public are invited to the soft opening of the long-awaited Bung Bratak Heritage Centre (BBHC) this Easter Sunday. The centre is located on the top of the 1,000-foot Bung Bratak (Mt Bratak) near Kpg Tembawang Sauh in Bau. The ceremony at 10am will be officiated by Deputy Minister of Agriculture and Agro-based Industries Datuk Anthony Nogeh Gumbek, who is also Mas Gading MP. Bung Bratak Heritage Association (BBHA) chairman Dato Peter Minos said the BBHC will be a popular destination for both domestic and foreign visitors. “According to United Nations Educational, Scientific and Cultural Organisation (Unesco), it is the first of its kind in Borneo where an ancient hill-top settlement has been turned into a historical tourism centre. “BBHC is intended to be a popular Bidayuh historical centre where past ancestors are remembered and honoured, as well as to become an important eco-tourism spot in Sarawak, for Bung Bratak has primary and virgin jungles, two waterfalls, beautiful mountain scenery, spring water, fresh mountain air, wild birds and animals, heritage trails and so on,” he said today. Bung Bratak was once a big settlement of the Bidayuhs of the Jagoi-Bratak group over 750 years ago. It was even mentioned by early Dutch and British writers and historians. The BBHC was initiated and developed by BBHA, and fully financed by the federal Ministry of Tourism at a cost of RM8 million and constructed by Public Works Department (JKR) Sarawak through an appointed contractor. 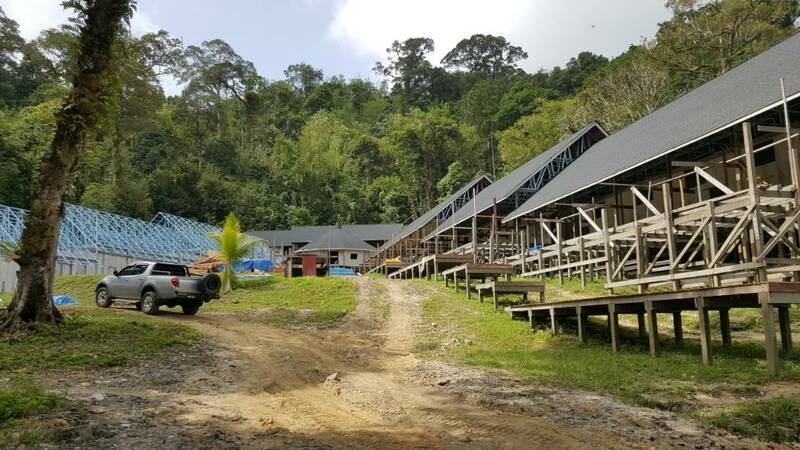 It comprises two traditional longhouses, one for accommodating up to 100 persons and one for a seminar or conference hall, office and mini museum on Dayak arts and culture, among others. There is also a big ‘baruk’ (Bidayuh traditional round house), a dining hall with kitchen and a reception hall.